Clear-Com has appointed Simon Browne vice president of product management. He will continue to oversee product brand development, lifecycle management, and positioning for all Clear-Com and now the Trilogy Communications products. Browne has been part of the Clear-Com organization for 28 years. 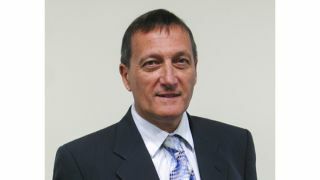 Browne first joined Drake Electronics in 1989 as a project manager and later sales and support manager. After Drake’s merger with Clear-Com in 2002, Browne became the senior product manager who oversaw the flagship Eclipse digital matrix product line, and was then promoted to director of product management in 2011. Browne brings extensive market knowledge in broadcasting and audio technology experiences to his role in product management for Clear-Com. Under his leadership, Browne has accelerated Clear-Com’s pace of innovation in IP intercom with Eclipse HX, HelixNet, Agent-IC, and LQ, developed the FreeSpeak II wireless product, and brought substantial improvements in key peripherals like headsets. “Simon’s leadership has been a significant factor in our success in recent years, bringing stability and vision to our product development processes while pushing us forward to meet the exciting demands of the many markets we serve,” said Mitzi Dominguez, CEO of Clear-Com. Prior to Drake Electronics, Browne represented Calrec Audio in London in 1985, and through its association with AMS/Neve, moved to non-linear digital audio editing. Before Calrec, Simon worked in the BBC with Capital Projects in central London and project-managed systems for BBC Outside Broadcasts, BBC Radio 4 and Radio 5, and “The Archers” radio studios in Birmingham.